We all have a love-hate relationship with email. We complain that we get too much email but conversely, we check it far too often for the fear of missing out (FOMO). 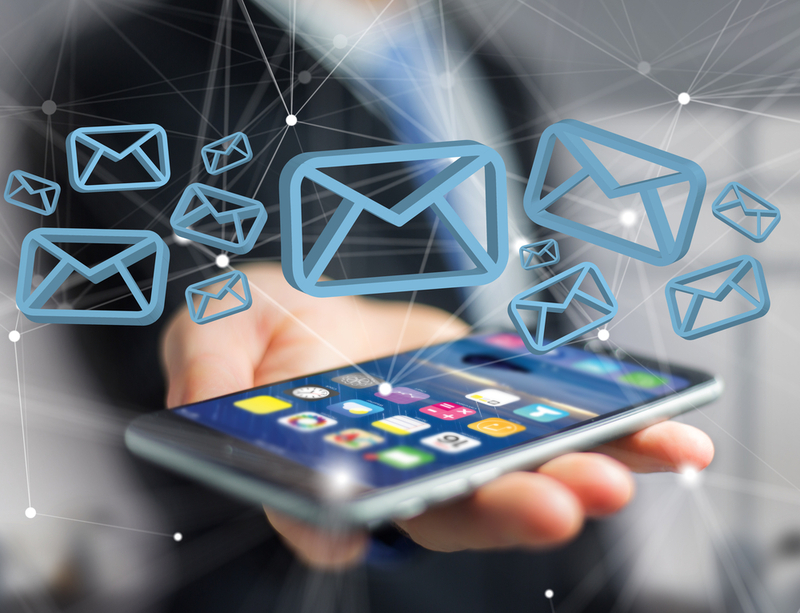 Email volume is a struggle for a lot of executives and entrepreneurs, which is often exacerbated by multiple email accounts to cover different areas of your lives, i.e., business, personal and interests such as sports clubs / church group, etc. I’ve battled with email for some time but am now at peace with my email system. The system I will introduce works well for me and please feel free to use this as a basis and customise it to your own needs. Email takes you away from doing in-depth work, which is where you add value to your business. One email can throw you off track for hours and put you in a negative state of mind. Somebody sending you an email with an action is putting something on your to-do list. Be kind to yourself and turn off all email notifications on your desktop and mobile phone – you don’t want the constant interruption. This includes turning off the annoying email count number that often appears on the icon of your email client. Seeing 100 unread emails is only going to peak your stress levels and entice you to take a peek at your emails. You don’t need to be seeing every email, even from key stakeholders; email isn’t instant messaging and takes you away from doing in-depth work. While you’re there, turn off all non-essential notifications including Facebook, Twitter and WhatsApp – switching off notifications can be incredibly liberating. Also, move your email applications to the second page on your smartphone. I recommend clients to only check their inbox twice per day, once in the morning at 10:30 am and again at 5 pm before leaving office. You shouldn’t need to process your email more often than this. If you do, you have a severe case of FOMO – remember, emails entail somebody else putting things on your to-do list, and having email as a constant distraction stresses you out and makes you unproductive. Never ever, ever, ever … check your email first thing in the morning as it will distract you from your day’s priorities, take you away from doing in-depth work and completing your Most Important Task of the day. When you process your email, aim to do it on a desktop rather than your mobile phone as the former will make it 50% faster to get through your emails. Inbox Zero is when you process all your emails in one session. At the end of the session, your inbox will be empty – all the emails would be processed. This doesn’t mean that all your emails would be actioned, but they would be processed. Your email inbox should be seen as a holding place for your emails until they are processed. Rule 1: When processing your email, if it takes longer than 2 minutes to read and respond, place it in the Reply folder. Rule 2: If it takes less than 2 minutes, process the email there and then and place the processed email in the Archive folder. Rule 3: Any email where you are awaiting a reply from somebody should be placed in the Waiting folder. The emails in your Reply folder represent work that needs to be done and, therefore, you need to schedule time in the calendar to process your Reply folder and do uninterrupted, in-depth work on these emails. I generally schedule this for the following day unless something is flagged as urgent in which case I make time on that day itself. Note: You can use Airmail to negate the need for the Reply and Waiting folders as it will flag any email that has not been replied to. In addition, Airmail can send emails to your task manager for future processing. Sanebox – Sanebox learns which email is important and filters out the emails that aren’t important, enabling you to speed up your email processing. This is particularly helpful in filtering out newsletters, confirmations, receipts, etc. Sanebox can also save all attachments to Dropbox, making it easier to find and file away. Airmail – This is an email client that makes it incredibly easy to process email and has integrations with other tools; so you can send an email directly to your task manager or notes application (Evernote). There are many more integrations with third-party applications. Todoist – Whilst not strictly an email handling app, I send my actionable emails to Todoist for future scheduling. Once people realise that you batch-check your emails, they will start behaving differently, and stop emailing you and expecting an instant response. You will find that people are more likely to call you to discuss more in-depth matters and will send you instant messages for anything super urgent. Set time in your schedule to check your email twice per day. Set up the three folders as outlined above. Try Airmail, Sanebox and Todoist. For further help and advice, please visit our website. Why not get in touch for a complementary 1-hour coaching session? I've spent the past 17 years helping to transform businesses and am now working with entrepreneurs and executives to do the same. I work with high achievers to help take their performance to the next level using cutting edge strategies, tools and techniques from the worlds of cognitive performance, bio-hacking, productivity and neuroscience to enable a state of peak performance.